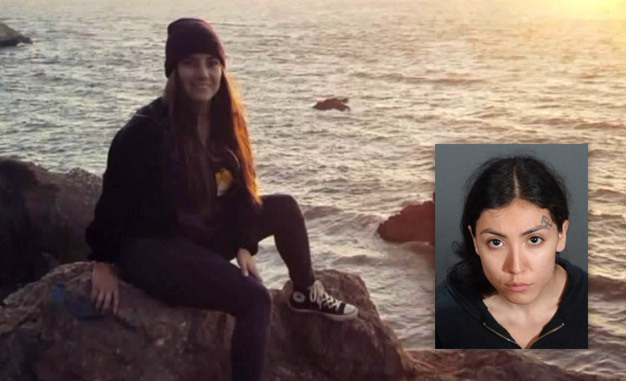 Redondo Beach, CA (January 26, 2019) – Redondo Police Department has announced the arrest of a 21-year old woman who is suspected of a deadly hit-and-run crash that killed a college student in Redondo Beach Saturday evening, January 26th. The suspect was identified as Leila Gonzalez from Bell, a small city in South Central Los Angeles. Gonzales was apprehended Monday afternoon after the vehicle used in the incident was discovered in a residential area not far from the site where the crash took place. According to a preliminary investigation, Gonzales was driving in a black Audi SUV when she struck 21-year old Angelina Calderon Pinedo as she and her sister were crossing Grant Avenue in the 1600 block of Aviation Boulevard sometime around 9:00 P.M. Saturday evening. Pinedo was caught under the front wheels of the Audi SUV and was dragged several hundred feet from the crosswalk before Gonzales stopped the vehicle. Witnesses told authorities that Gonzales exited the SUV and then returned inside the vehicle and sped off without rendering aid to the dying woman. First responders arrived and pronounced Pinedo dead at the scene. Authorities say they were able to apprehend Gonzales after following up on many investigative leads in the case. Gonzales admitted to detective that she was the driver of the SUV at the time of the crash. She was booked on suspicion of felony hit-and-run resulting in injury/death. Her first scheduled court appearance is on Wednesday, and she is being held on $50,000.